FOUR BLOOD MOONS is a theatrical one-night event exploring a rare lunar phenomenon that over the centuries has accompanied both tragedy and triumph for the Jewish people. From Pastor John Hagee’s New York Times best-selling book of the same name (750,000 copies in print from Worthy Publishing), FOUR BLOOD MOONS is in theaters March 23. Produced by Rick Eldridge, FOUR BLOOD MOONS is directed by Academy Award winner® Kieth Merrill, written by Eldridge and Merrill. A Goose Creek Production presented by 4BM Productions, it is produced in association with ReelWorks Studios and The WTA Group. FOUR BLOOD MOONS combines scripture, science, history and big-screen live action spanning centuries, including previous similar lunar occurrences and the earth-shaking changes around them. It also examines our current four blood-moon cycle—and its possible meaning for Israel, the Middle East and the world. Only three times in the past 500 years have four blood moons (or tetrads) occurred back to back and on major Jewish holy days. The fourth tetrad began April 15, 2014, on Passover. In October last year, the second blood moon appeared on the Feast of Tabernacles (also known as Sukkot). Blood moons in 2015 land on the same holy days. What happened in the past around such occurrences? 1493 — Spain’s rulers had expelled all Jews and Columbus had discovered America, an eventual haven for the Jewish people. 1948-49 — The founding of Israel. 1967-68 — Following the Six-Day War, Jerusalem rejoins the state of Israel. 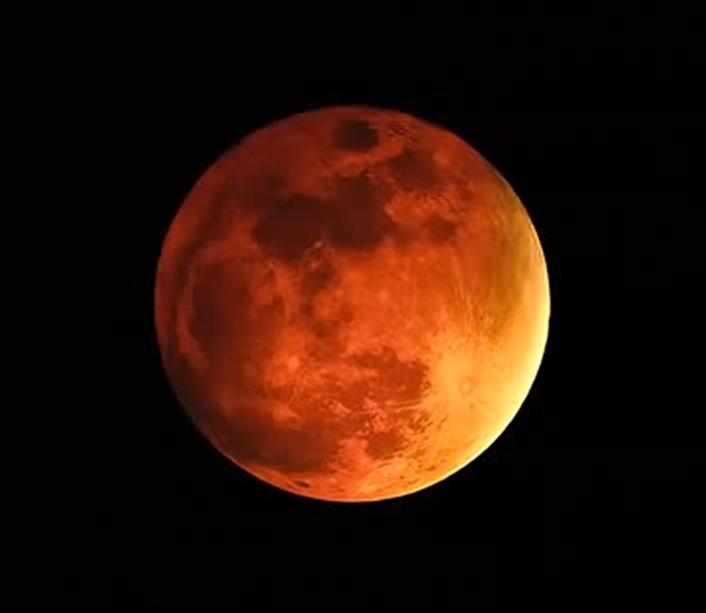 Hagee points out that during this four blood-moon cycle, all of which touch on Jewish holy days, a solar eclipse also will occur–a combination of events that will never repeat. 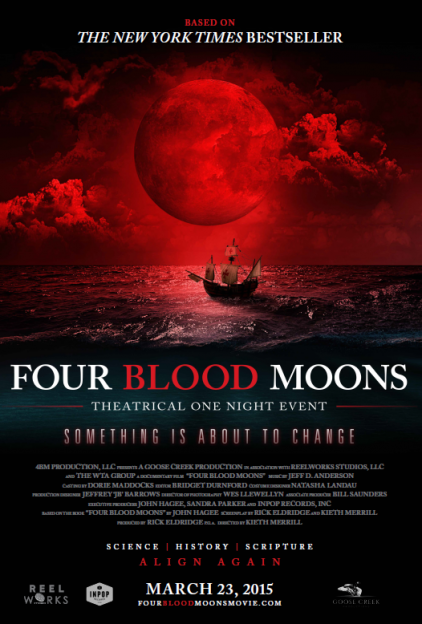 Whatever the results, audiences at FOUR BLOOD MOONS will see a compelling and entertaining exploration of these spiritual, celestial and historical events. And they will leave the theater convinced that something is about to change that could affect us all.